Skills Development Season is upon us as we head towards the 30 April 2018 deadline for submission of your Workplace Skills Plan for the 2018 / 19 period and your Annual training report for 2017 / 18. 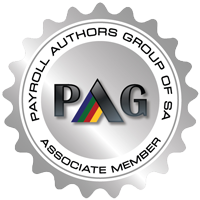 Any employer who pays more than R500 000 a year in staff salaries (+- R42 000 / month) must register for and pay Skills Levies for approx.. 1% of your staff payroll. To incentivise employers to train and up-skill their staff, Employers may submit and apply for a grant which would ideally go towards ameliorating the costs of the training and to be used to invest further in the training and development of the staff. ANY training expense incurred can be declared and included in the report, including mandatory training in terms of short courses which can include Health and Safety, Fire fighting etc. 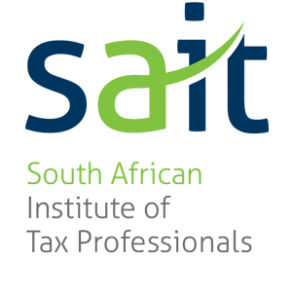 However, some types of training, such as Learnerships, apprenticeships and other forms of work-based learning which result in your Employee receiving a certificate, diploma, accreditation or qualification of any kind, may result in a higher grant payment often referred to as a Discretionary Grant. Skills development is vital to resolving the employment crisis in South Africa and was established for just that purpose. Where traditional education and training has, in the past, been reserved for those fortunate enough to have financial access to schooling and tertiary education, Government created a way for the advancement of education and training, to be accessible to everyone, including the unemployed. The time is now for businesses to embrace the concepts of work-based learning as a way of ensuring access of adult education to everyone in the country. The result of which will be beneficial to all. Young people will receive on-site training and gain work experience, which in the past, they would not have had access to. Those who have already been employed for some years, will gain the opportunity to further their education and training and allow them access to accredited and certified education and training. All of this will help South Africa prepare and grow industry into the 4th Industrial Revolution, as well as promote growth in the country as a whole. Which means business thrive and so does their bottom line. And when business succeeds, so drops the unemployment and crime rates, alleviating abject poverty and ensuring a prosperous business future for our country. Speak to one of Pay Solutions qualified Skills Development Facilitators who can guide and advise you regarding the Workplace Skills Plan submission to ensure that you maximise all of the benefits that skills development offers.